The idea behind the Innovation 20% is that we are generally most interested in something we choose for ourselves, regardless of whether it has a reliable outcome or not. Google says, do your regular work for us 4/5 of the time and pick something that interests you to explore the other 1/5 of your time. See what develops. If it flies, great. If it doesn’t, pick something else. It’s okay. The results that do come to fruition are often incredibly creative, innovative, and successful, beyond what a top-down do-this-task job would produce. And that’s the reason Google is willing to take the chance on its people. “Autonomy” is one of the great driving forces that motivates us, according to Daniel Pink. As a freelancer, I thrive on the relative autonomy I have. But a freelancer working for herself is simultaneously working for every client on her agenda. Where is there room in a freelancer’s week for 20% Innovation time to fool around with something that might or might not ever pay the bills, especially when paying clients are waiting for their work? It’s a balancing act. Paying clients deserve their work in hand. I probably have the worst time delivering to clients who say “Get it to me whenever it fits into your schedule.” It gets done, but not quickly. By the same token, how many freelancers flame out or stall out creatively, burning themselves to cinders grinding out more of exactly the same thing they were doing yesterday and last week, never giving their creative well a chance to refill? I discussed my 168 Hours Project at the beginning of the year, in the post called “It’s a Question of Time.” I started that project last fall and I’m continuing to use it every day since, with tweaks and refinements. It’s working for me very well, and I’m making progress on things I never imagined I’d get accomplished when I started. One of the things that drives the 168 Hours idea is determining what you want to do or have in your life. Some of the items on author Vanderkam’s list make me break out in hives, personally, but it will give you the general idea. Large, small, easy, impossible, mundane, looney, contradictory, or even mutually exclusive — make a list of 100 things you want. If you reach 100, make 1000. The purpose is to get a handle on what makes your life worth living, what you value. 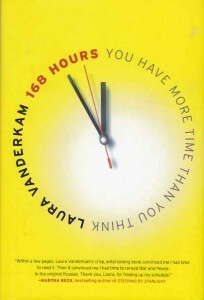 Vanderkam’s book talks at length about what to do with this list once you have it, which I also touched on in that earlier post. For now, I’m going to address just one item. I quickly put that on the back burner along with Live in Spain and Build a strawbale studio in the second yard. I could not see how to factor it into my 168 hour schedule, at least not any time soon. I schedule 20-25 hours a week for freelance work — the rest of my “work” time is assigned to the library. At that, I can barely complete my assignments. Still, I have the experience of knowing that being creatively experimental is vitally and fundamentally essential. “Mastery” is another great motivator, but it should always elude you, taunt you to do something more, better, or perhaps something that is just similar but different. I started playing with 3D work in the mid-90s — ceramics and mosaics — because however much I loved my regular work, I craved new challenges. I never expected the 3D works to earn me a penny when I started. That was fine. They gave me fresh eyes, and that creative jolt enlivened my regular work too. But in the 168 Hours Project, I didn’t think I could include anything that wasn’t a paying assignment. Meeting that need to do something experimental, that “dream” on my “100 Things” list, isn’t what I was thinking of when I undertook Gresik’s writing challenge. I felt a bit guilty doing it, stealing time from my freelancer’s bucket to write early in the morning a few days a week. But I thought I could muster 5 hours, somehow. So I was quite shocked when, a week ago, I realized I had stumbled into using 20% of my 25 hours of freelance time for … creative innovation. What is more, giving it a name, “20% Innovation Time,” put it into perspective for me. Moreover, having this insight wipes out most of the guilt that still clings to using my time that way. External confirmation means I’m not just lying to myself about why this feels valuable. What I’m writing has no paycheck at the other end. It might, someday. The ceramics and mosaics did, and I’ve been paid for writing a little fiction in the past. Mainly, I’m doing it because it keeps my creative well flowing. It allows me… it forces me… to grow in directions I want to go. After trying to write chapters by “pantsing,” I realized I needed to do a buttload of world building before I could proceed further. That’s a dangerous road for me to take for very long. I could spend all my time building a fascinating but static world, never getting around to populating it with people loving, fighting, wishing, dying, striving, failing, or the myriad other activities that drive an action fantasy. I’m moving back toward the story I want to tell, developing a rough “mountaintop outline.” Neither fully plotted nor pantsed, the outline pins down a series of high points I mean to hit, with wiggle room to explore in between. When the end of July comes, drawing my 100 day experiment to a close, I’ll take a breather to go to GenCon. (Yes, hunt me up and I’ll sign your cards!) I’ll let you know what happens after that. Regardless of all else, it’s great to be doing something that makes me stretch and grow like this. And it’s good to really understand that spending 5 hours a week doing something different and new is possible, even for a crazy freelancer. This entry was posted on Sunday, July 3rd, 2011 at 5:39 pm	and is filed under Creativity, Freelancing, Writing. You can follow any responses to this entry through the RSS 2.0 feed. Both comments and pings are currently closed.